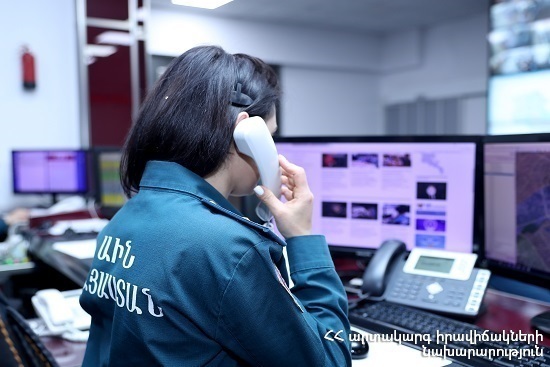 On April 11, at 17:49 an emergency call was received to “911” service that a resident of one of the apartments of building 9 in Hrachya Kochar street, Yerevan had cut the veins of the wrist. Help was needed. It turned out that E. V. (born in 1982) had tried to hurt himself by cutting the veins of the wrist. The rescuers moved E. V. to the ambulance. The casualty was hospitalized to “Armenia” republican medical center. According to doctors the casualty was in fair condition.